Lulu Wang directs a bittersweet look at a young woman contending with her Chinese family's many generational conflicts. Anyone with a large Chinese family going back several generations will probably appreciate much about the one depicted in tender detail in “The Farewell,” director Lulu Wang’s touching and understated second feature. For everyone else, Awkwafina’s performance is a terrific gateway. The rapper-turned-actress’ best performance takes a sharp turn away from her zany supporting roles for a restrained and utterly credible portrait of cross-cultural frustrations. As a Chinese-American grappling with the traditionalism of her past and its impact on the future, she’s an absorbing engine for the movie’s introspective look at a most unusual family reunion. That abrupt statement establishes the deft balance of Wang’s screenplay, which veers from serene, observational moments to unexpected bursts of disarming humor. “Based on an actual lie,” announces an opening credit, and the tension of “The Farewell” centers on Billi’s fluctuating emotions as she struggles to play along. Needless to say, she doesn’t have much else to do. Losing out on a Guggenheim Fellowship and missing her rent, Billi surprises her parents, her grandmother and the rest of their massive family by simply showing up in Changchun unannounced. The remaining movie finds her enjoying the ebullience and affection of the clueless family matriarch, who thinks her relatives have merely come home to celebrate, while struggling to reconcile her affection with a broader disdain for her family’s stern ways. Much of the movie pivots on busy scenes of relatives crammed together at dinner tables, talking through their life philosophies and decades of memories, while the soft-spoken Billi takes it all in; only when she splinters off with individual relatives do the deeper conversations bubble up. While some of its talkier moments tend to meander, “The Farewell” develops a cumulative impact, as Billi jokes, argues, and probes her relatives to rationalize their behavior as she revisits her rocky childhood, realizing that the lie she’s now complicit in speaks to a broader lack of transparency that has impacted her adult life. While these heavier questions bubble up, her endearing grandmother provides a constant source of comic relief, cheerily amusing Billi and reorienting her perspective on the current dilemma (as well as sharing some memorable tai chi tips). Wang’s script allows much of Billi’s psychological challenges to unfold as internal processes, allowing Awkwafina to access previously unseen depths; she was a scene-stealer in “Crazy Rich Asians” and “Ocean’s Eight,” but transforms into a complex, authentic embodiment of Chinese-American identity as the movie gives her room to explore. “It’s our duty to carry this emotional burden for her,” Billi’s mother says, and “The Farewell” shows just how much Billi struggles to hold her piece of it. Building to the potential of a confrontation with the wedding climax, “The Farewell” threatens to melt into sentimentalism, but Wang dodges the obvious pathways to a tidy resolution. Her camera often lingers on wide shots busy with multiple characters, allowing the environment to become as much a factor in the plot as any member of her clan. Wang portrays a lively visit to the graveyard and a drunken wedding karaoke session with the same careful sense for the rhythms of the scene; while the narrative of “The Farewell” stops and starts, it never drags. 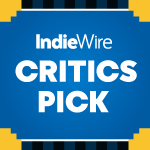 As Billi comes to understand — or at least relate — to her family in a fresh light, the movie lingers on indelible images that deepen this portrait of complex family dynamics. After a pivotal moment, as the family walks toward the camera in slo-mo with Billi at the center and Alex Weston’s euphoric score swells, “The Farewell” lands on a tricky happy medium between the eccentric and somber aspects of its curious scenario. It winds up with a sharply bittersweet finale — followed by an abrupt revelation sure to keep people talking. The movie doesn’t side with Billi or her family on the decision to obscure the truth — but it suggests that by bringing them all together, her grandmother gets the last laugh either way. “The Farewell” premiered in U.S. Dramatic Competition at the 2019 Sundance Film Festival. It is currently seeking distribution.